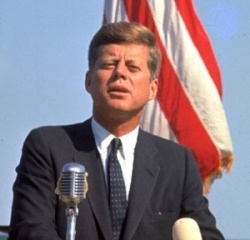 On March 15, 1962, President John F. Kennedy formally addressed the issue of consumer rights in the US congress. He was the first world leader to do so. On April 8 1985, the United Nations' General Assembly adopted the UN Guidelines for Consumer Protection, and approved the idea to declare March 15 to be the World Consumer Rights Day (WCRD) as a means of raising global awareness about consumer rights..
WCRD is an opportunity to promote the basic rights of all consumers, for demanding that those rights are respected and protected, and for protesting the market abuses and social injustices which undermine them.